This is a “must have” book if you are a runner, triathlete or fitness fan. 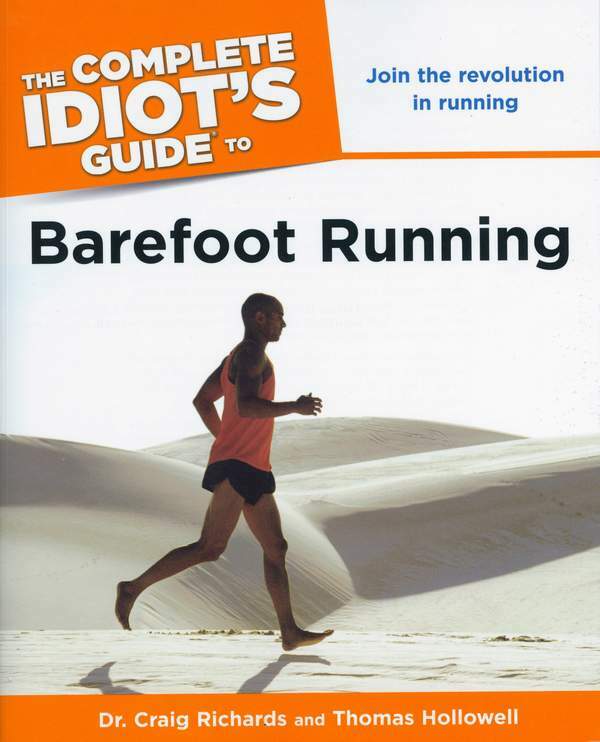 It is written by a world authority on running – Dr Craig Richards – in an easy to read guide. It is the next best thing to a personal coach as it steps you through a training program that allows your feet to feel, flex and respond to the ground gradually and helps you build strength and improve your form at the same time. We have been recommending Vibram Five Fingers for a couple of years now. An overview of what barefoot running is all about, including a closer look at running shoes – and why you don’t need them. A thorough transitioning program designed to slowly strengthen and stretch your feet as they acclimate to going barefoot. Tips for running on all kinds of surfaces and in all types of weather, along with advice on determining if “barefoot running shoes” are for you. Training pointers to help you successfully increase your barefoot running distance and speed. Guidance on taking care of your feet, legs, and body to prevent injury and keep you on the shoeless path. I have personally followed his advice and have found it extremely useful for reconditioning my feet and greatly improving my plantar fasciitis. I also use Newton Trainers to give my feet and legs some variety depending on my training schedule.